Please check our Website & Facebook for Weekly Entertainment Schedule! 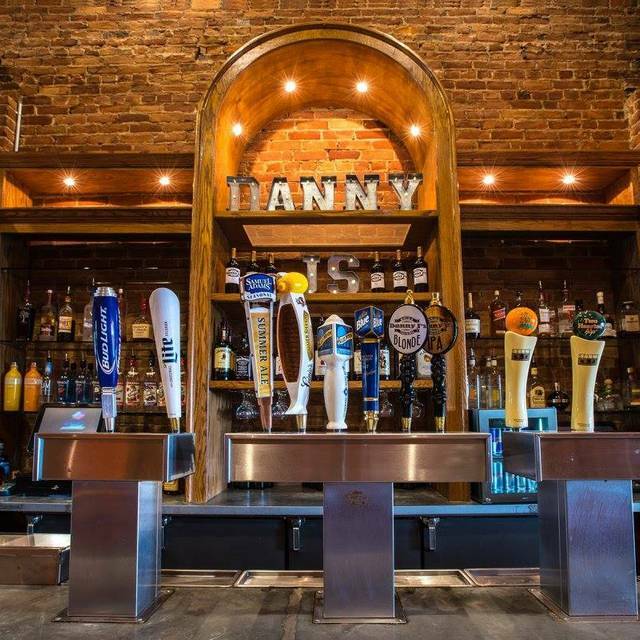 Immerse yourself in the ultimate dining experience with Danny J’s Brick Tavern. Enjoy affordable, delicious, classic American cuisine, a wide selection of spirits and craft brews, as well as some of Michigan’s finest live entertainment. 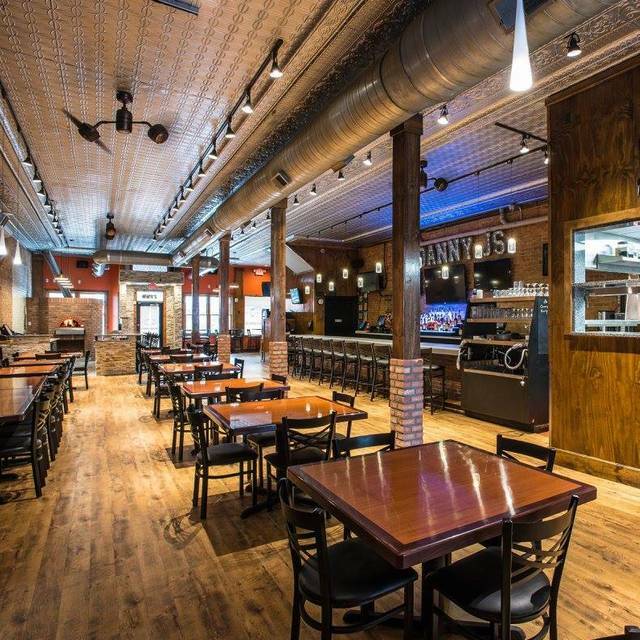 Danny J's brick Tavern is a two-story restaurant, with two full bars, a wood-fired pizza oven, and a fully equipped 2nd floor performance stage! We also host private events and offer offsite catering! Heading to the baseball game this Sunday? Visit us beforehand and show us your ticket stub for Buy One Get One 50% OFF of our ultimate brunch buffet! Celebrate all of the amazing women in your life this Mothers Day at Danny J's Brick Tavern! We will have an incredible Brunch Buffet with $3 Mimosas and all the delicious brunch fare you could imagine! We have taken our standard brunch and kicked it up a few notches for an extra special Easter Extravaganza! 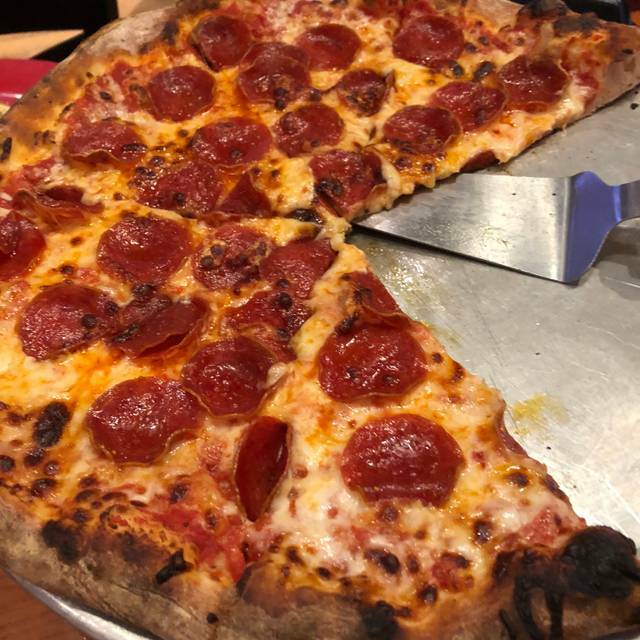 We'll have everything you could ever dream of! Omelette & Carving Stations, our famous Chicken & Waffles, Peel & Eat Shrimp, Dessert Tables, Create your own Bloody Marys, and SO MUCH MORE! Very crowded due to a special event. Had to wait 1/2 hour to be seated with a reservation. However, the food was excellent and the wait staff was very good. We always have a good time at Danny Js. My kids and I came for the Leader Dog fundraiser. My daughter is in the wheelchair, and you accommodated her very well. The food was outstanding! 7 ppl for brunch. We didn’t pat take in the Bloody Mary bar, so I can’t comment on that. There was a nice brunch buffet with some upgraded items like cheese fries, meatballs, chicken and waffles. It hit busy fast and service was a little slow, but overall worth it for a fun brunch spot in Utica. They have definitely gone downhill. When it first open the food was good. In our most previous experience we were disappointed. But we gave it another chance and invited another couple along. The quality was so so. The meal value is not worth the prices. The server didn't even bring me the chili I ordered. Will not return. Great food as always and loved the happy hour choices. We cane here with our dinner club and everyone enjoyed it. Comfortable place with good food and drinks. We will be back! Always have a great meal here. Staff is great! You won't regret dining here. Went there for a friends birthday and to celebrate New Year Eve, Service was outstanding and the food was spot on. I will definitely go back. Food was very good with many options to choose from. Price is very reasonable also. Every time we go for brunch we are never disappointed. Wonderful food and service. We had a great time. Brandon was an excellent server and bartender. It was our first time there and we enjoyed the food and atmosphere. Will definitely be going back. Excellent food and service. Would highly recommend. Best part is they separate the live music from the bar so you can actually have a conversation without screaming. Good food and cool decor! Will be back! This was are first time and last time at Danny Js. The bang bang shrimp was good and so was the sandwich we ordered. Everything was going good until we received our check. While we were waiting for our CC to come back we witnessed a waitress who was redoing her hair in the kitchen...not only once but multiple times running her fingers through her hair and try to put it in a ponytail. On top of it after several minutes of disbelief no hand washing was done either. To make matters worse the chef at the pizza oven was playing with his phone while leaning his uncovered arms on the prep area and again no hand washing. This was the same employee who sneezed in that area when we first sat down. Lets just say we didn’t order pizza for a reason. We are happy we didn’t see any of this before ordering but couldn’t get out of there fast enough. We had the Chop Chop salad and traditional pizza. The salad was a little spicier than anticipated but good. The food and service was awesome. The meatloaf was great paired with the Blonde house beer. Father's Day was good..Bloody Mary bar was different. Would go back on a less busy day. I love their Sunday brunch bar! You can have breakfast where they offer all sorts of good eats along with made to order omelettes or you can have lunch with salad, chicken and veggies. Whenever my daughter comes in from California, we always make sure to dine here. The wait staff is friendly and the owner on more than one occasion has allowed me to add another guest just a day or two before my reservation. They often have a solo guitarist playing for ambience. He is never overpowering where you would need to shout over his music. It's really quite a nice experience. Prices are reasonable considering the choices you have and I've never had a bad experience here. You won't be disappointed. Thank you Danny Js for always providing a wonderful dining experience. Attentive service, wide variety of well priced casual options on the menu, Well beyond normal "tavern" fare. Appealing interior. Parking is a little bit of an issue, particularly with other events going in the downtown area. Excellent food, service and waitstaff. Many of our family hadn't ate at Danny J's and were very happy with the food. Our server Tasha was a down to earth, attentive, knowledgeable and extremely sweet girl. The owner and hostess were very warm and welcoming. It was Happy Birthday celebration and I couldn’t have been more pleased with the exceptional service. Danny J’s wings were some of the best wings we ever had (Parmesan, ranch and mild sauce coating). We cannot remember the exact name of the sauce, but those were the ingredients. The only reason I gave 4 stars for food was the Au Jus lacked some saltiness and my husband’s prime rib sandwich was just a tiny bit tough. But, these were minor details. The overall experience was very positive and we will definitely be returning. Please make sure to order the skillet chocolate chip cookie. It was superb! Went during happy hour at 5:30pm with a group of 5 for my mom’s bday. She was looking forward to doing country line dancing upstairs at 6:30pm. We ordered food a little before 6pm, and our food didn’t come out until 6:40pm. I had to wait on the server at the bar in order to get my table to cash out at 7pm. Needless to say, we didn’t make the line dancing class because by the time everything was said and done, it was 7:15pm. My mom was very disappointed. We ordered beef tips, 2 pastas, lettuce wraps, soup and salad, and a burger. We were one of 3 tables in the bar when we placed our order. Food was average at best and missed the mark. The server/bartender was fine, but because we had to keep asking for stuff like waters and straws and our bill, I marked service down. Big major issue - we came during happy hour and couldn’t order happy hour because we didn’t sit at the bar top. I’ve never had this issue at any bar or restaurant I went too before as long as I sat in the bar area. Our table was literally right next to the bar. I frequent happy hours, and I would never come to this happy hour or this bar again. Worst dining experience. Went for the Sunday brunch, the brunch buffet was empty, took them forever to refill with fresh food and when they did it was minimal. Those that ordered off the menu, their orders took forever. Mgr. Came to the table, offered numerous excuses and made half hearted attempt to make things right but it wasn't enough. I was treating my family and was utterly embarrassed. Pass this one by folks, a complete rip off. Heard of the Brunch option on the radio, thought we would try it out for Mothers Day, and was very, very pleased!! The food selection was great, nicely presented, attentive staff, and everything was delicious! Even our 14 year old son was impressed which is no small feat. The Sunday Brunch for mother’s day was not up to par. We were the first people in at 10.00AM. The Brunch was not ready. Then when we went up to get our food, all the food was cold. The meat dish’s were cold and dry. It was our first time here and everything was excellent! Food looked and tasted great. Staff was attentive and friendly. We will definitely be back! We went here for Easter brunch- it was our first time & weren't too certain what to expect. Given their limited space, they do a very good job of providing some variety, and everything I had was fresh & well prepared. The chicken & waffles and biscuits & gravy were delicious ( next time I will fast for a few days before going). My mimosa was a little flat. Service was attentive & pleasant. There was a solo guitarist/ singer which suited the venue very well. The only off-note was that the posted price for Sunday brunch was $14/ person, when the bill came it was $22/ person for Easter brunch which may have been posted somewhere, but it wasn't online that I could find, nor evident on site. Good choice if you're hungry, looking for a casual spot where you can have a conversation. I will never go again and I have been telling everyone I know the horrible experience. We went for Easter Brunch. No where did we see a different price for Easter so we thought it was the normal $14pp. Management did nothing about the mix up. We were charged $22pp. For that price I would have gone to a much nicer place with broader brunch and desert options. Was a total rip off.